If you don’t remember my name, my Dad was Don Jorden. I just wanted to say thank you for all your help over the past few months when Dad was moving into Mifflin. You put our minds at ease from the first appointment Mom and I had with you. You guys made the transition so easy and as good as it could be. The staff and care at Mifflin has been great! Even though it was hard for Dad not to be at home anymore and I’m not sure he had quite adjusted yet, he liked everyone there and always said they treated him well. The work all of you do has to be more than just a job, you have to care about people, and it’s obvious you all do! Please pass this on to Heidi. Her knowledge on finances and always answering our questions, was very helpful. I got to see Ben when I was in for the Christmas dinner, but please tell him again how much we appreciate everything! I think Mom has told everyone she talks to about him fixing the toilet seat in Dad’s bathroom – she couldn’t believe the director would do that! Mom and I have talked to some of the staff, but you can pass on our thanks and appreciation to all. 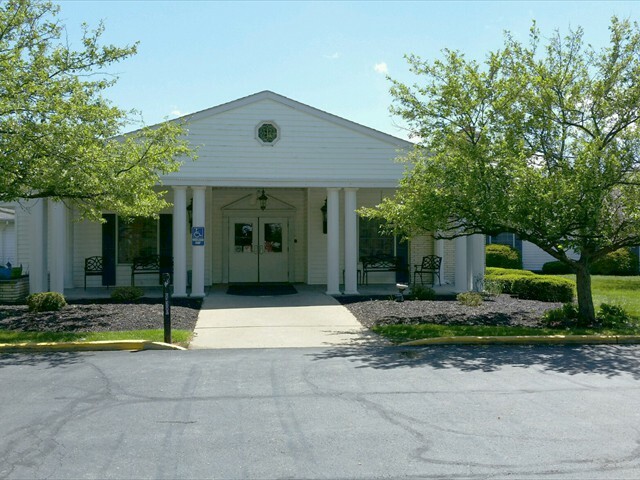 We will pass on a positive word about Mifflin to anyone we know looking for a care facility. 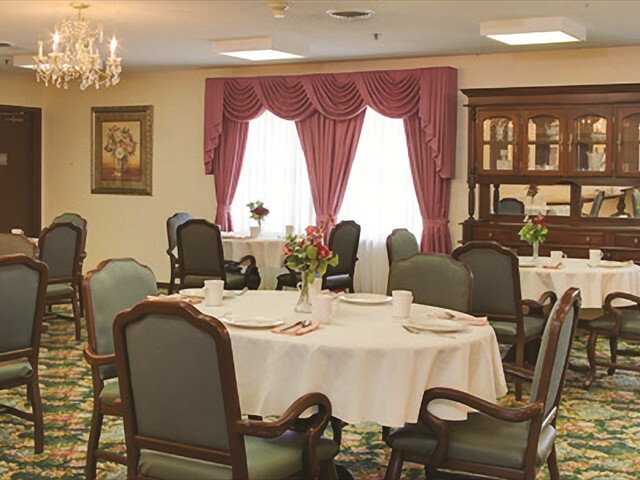 I chose to move to Arbors at Mifflin from another skilled nursing facility. Based on the two experiences, I am glad I chose Arbors at Mifflin. The staff have a good bedside manner. They are compassionate and have treated me good. The staff have made my stay a much better experience. It takes a certain kind of person to make it a better place. Our mother L. Blanche Long, recently passed away after a lengthy stay at Arbors at Mifflin on Crider Road in Mansfield. We, her family, would like to take this, opportunity, to publicly thank the nurses and caregivers of the dementia unit for the wonderful care they provided to our mother during her stay. 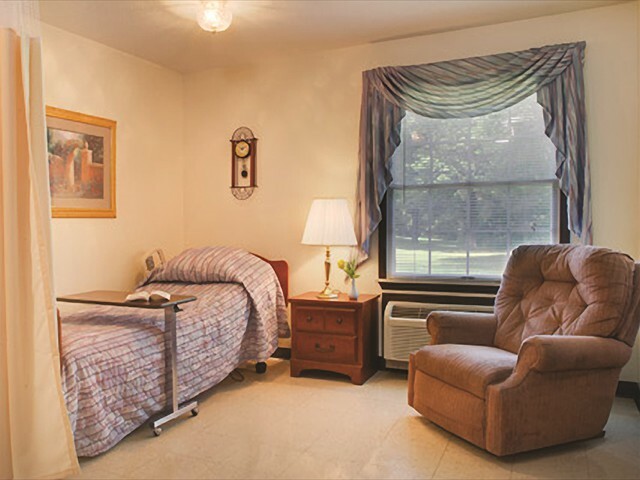 Being frequent visitors to Mifflin, we were acutely aware that providing care to fragile seniors can be challenging. 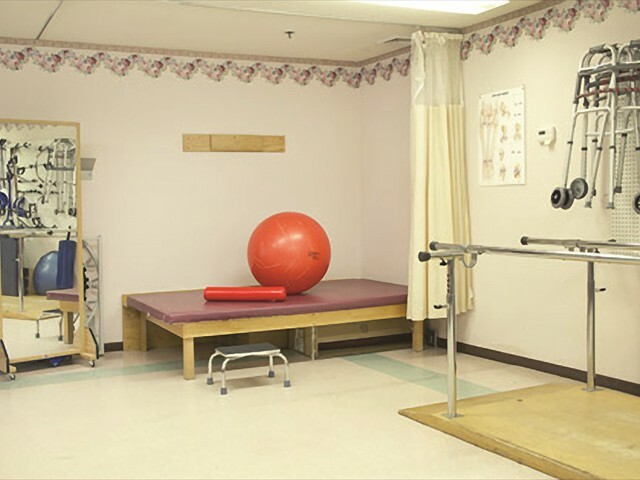 On this wing, each resident is treated as an individual with special wants and needs. We were impressed that to the caregivers at Mifflin, their work is not a job, it’s a calling. They provided not only professional services but went beyond what was expected with hugs, laughs and sometimes tears. They do the work of the angels and we will never forget their kindness to our mother. When I came to the Arbors at Mifflin, I was in bad shape. I was having a lot of problems just being able to walk. After I started doing my therapy, I began to walk again. Now I can walk along with the rest of my friends. Everyone has been so good to me at the Arbors at Mifflin! 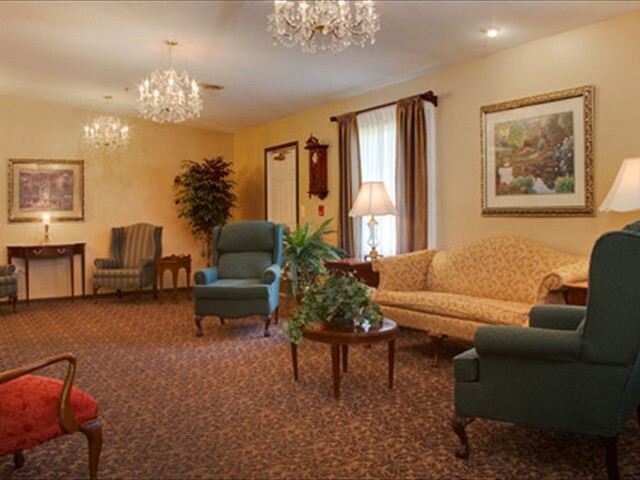 I am very favorably impressed in all aspects of the care I received while I was at The Arbors at Mifflin. Everyone that I worked with is pleasant and cheerful. They helped me every time I needed it. The rehabilitation was impressive and very thorough. When I came to The Arbors at Mifflin, I couldn’t hardly move my right arm. I now have full range of motion of it. I made great improvements with Speech Therapy. I was not able to eat and now I can! I chose Arbors at Mifflin for myself because it had a quiet country atmosphere, a private room, and good therapy. I had read several good surveys prior to my first visit and I also read about it in a News Journal! I was very impressed with the care and good attitudes of most of the staff in Hall A. The nurses did a great job of giving me my medication and encouragement. This was my second stay in a few months and I truly felt loved, cared for, and safe. I would recommend this home to any of my family or friends. Thank you, and God Bless each one of you! Keep up the good work. I chose Arbors at Mifflin for myself because I’ve heard very good things about it and now I know that it is true.Great staff and all are so wonderful. Thank you staff. The whole staff are so good and wonderful and willing to do anything for everyone here.I think you all are wonderful! I will recommend this center to all of my friends for I was treated very, very well. Thank you again! I just wanted to thank you and your staff for the care of my mother, Donna Speigle. She was on Wing C in room C-14. The staff treated her with respect and made her feel loved and safe. My sisters and I were so sad when we had to find a nursing home for my mom. This whole summer has been so sad and exhausting. Yet the facilities we were in gave us much comfort and love, including your facility. devastated. You see, my mom is a pretty spectacular woman. She was the center of our universe. After this turn of events mom was placed at Kobacker House which is a lovely hospice house in Columbus. She fast became a favorite there and made friends with the staff. She stayed there for two weeks. She basically outlived her stay. Don’t worry, we have all laughed about this situation. So we had to move on. Mom just wanted to pass on in Columbus. She did not want to come back to Mansfield. We convinced her that family and friends would be able to visit her so much easier from the city she had called home for fifty years. We found Arbors at Mifflin and I was terrified. I didn’t know what to expect. I was ready to fight tooth and nail for the care that my lovely mother deserved. The first night at Arbor’s we were all exhausted and I was so sad. A wonderful aide came into mom’s room. Not mentioning any names, wait, of course I am mentioning names. These wonderful, beautiful women need the recognition. Anyhow, Deb came into the room and just sat down. At first I was like, “what is she doing?” Then something wonderful happened. She just started talking to mom and I. She made mom laugh and converse. I was moved. As that first week went by, more of the nurses, aides, and cleaning women, became people we recognized by name and became friends to my mom and my family. You are blessed to have such a loving crew. Deb, Leizel, Tammy, Airel, Sheila, Michelle, Jill, Bridgette, Pebbles. The list goes on. I didn’t get to know the night crew on wing C, but mom loved them also. Our beloved mom passed on a early Thursday morning on July 28th again, remember that she was everything to us. The nurse who called my sister said such lovely, comforting words to her. Thank you. you are doing. Keep caring for these people that now call the Arbors at Mifflin their home. They need fearless leaders in their lives. There is an outstanding staff working in the dementia wing at Arbors! We are so thankful for the care and patience they showed our mom during her stay there. Each person working with Mom did what they could to keep her comfortable. Not only did they work with our mom, but they also helped us by answering all of our questions, keeping us informed and easing our fears and concerns. These staff members are the gems of your facility! I knew this was the place for me because it was suggested by my hospital and I have had family here in the past. The whole department was so excellent! Each member of the staff stood out. It was truly great, all were wonderful and all were kind. I had no problems with anyone! You won’t be disappointed when you come here. I can’t express enough what a great experience this transition has been for my mother, myself and my sister. Each person I have had contact with has made me feel so comfortable and welcome. Kelly and Howard are absolutely fantastic and are a true blessing. As you know, we haven’t had a great experience so far with other facilities. Now that Mom is there at Arbors, I can feel comfortable in knowing that she will be checked on frequently, that the staff will make sure her oxygen tank is working correctly, and that they will help to bathe her and keep her dry. I am certain we did the right thing by transferring her there. That is a great feeling, believe me. So, please pass along my sincere gratitude to you and to all of your staff for making our lives a little better!